The Eucharistic Lord is the center of our lives and parish. 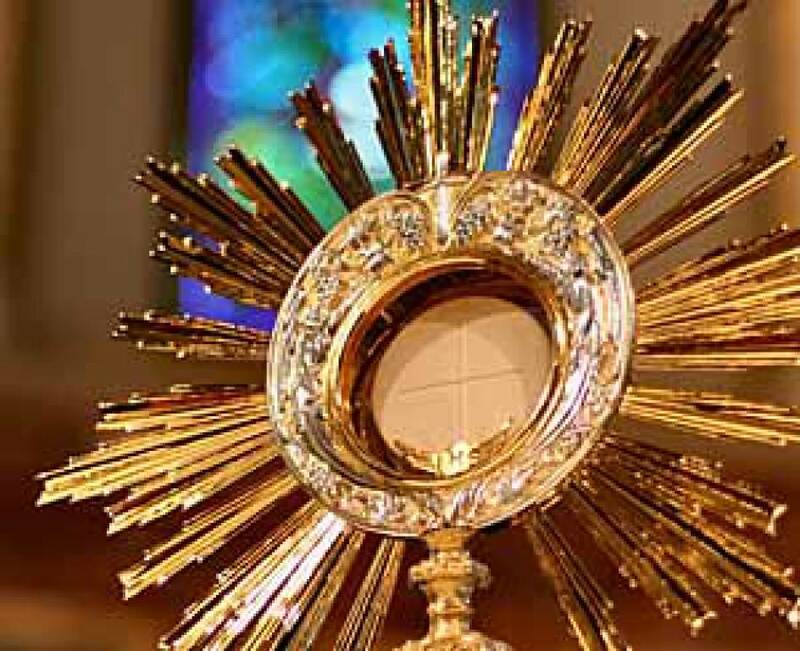 I adore You, Lord and Creator, hidden in the Most Blessed Sacrament. I adore You for all the works of Your hands, that reveal to me so much wisdom, goodness and mercy, O Lord. You have spread so much beauty over the earth and it tells me about Your beauty, even though these beautiful things are but a faint reflection of You, incomprehensible Beauty. And although You have hidden Yourself and concealed your beauty, my eye, enlightened by faith, reaches You and my souls recognizes its Creator, its Highest Good, and my heart is completely immersed in prayer of adoration. My Lord and Creator, Your goodness encourages me to converse with You. Your mercy abolishes the chasm which separates the Creator from the creature. To converse with You, O Lord, is the delight of my heart. In You I find everything that my heart could desire. Here Your light illumines my mind, enabling it to know You more and more deeply. Here streams of grace flow down upon my heart. Here my soul draws eternal life. O my Lord and Creator, You alone, beyond all these gifts, give Your own self to me and unite Yourself intimately with Your miserable creature.